With everything there is to learn about online business these days, it is so easy to get lost in the tech-y words surrounding the internet (that half the time people just pretend they know the meaning, even if they don't). But don't worry girl, I got you!!! So think back to a time your bestie texted you an awesome link. You click on the link only be sent to a website that you can't read at all! 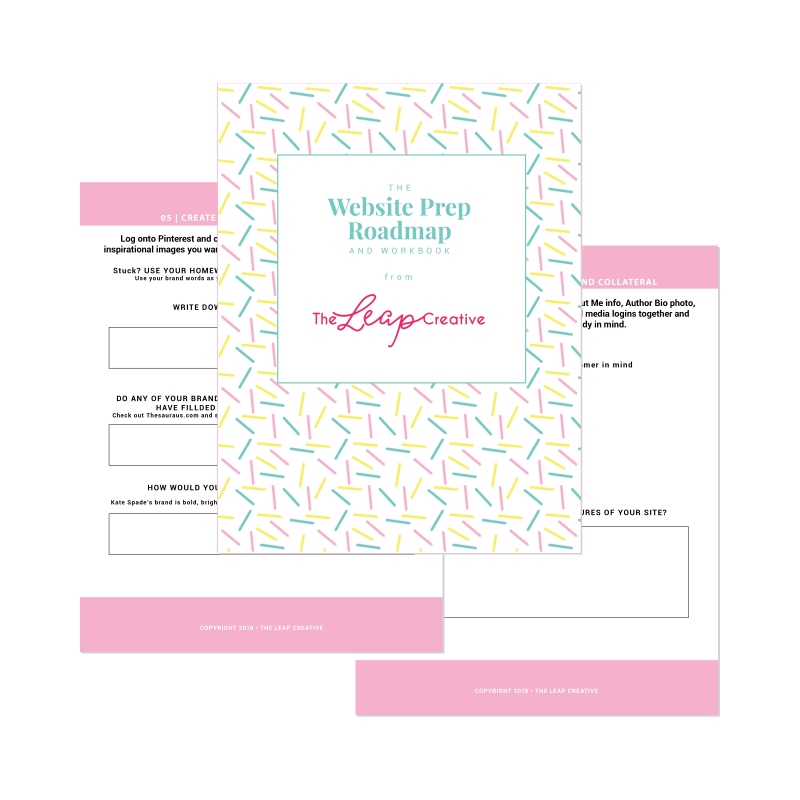 You've gotta pan and zoom and re-load the content all over the page - it's frustrating to get around to the content you wanted and usually you just click away. That website, my friend, was not responsive. According to a Google study in 2016 over 60% of searches came from mobile traffic. SIXTY PERCENT. That same study found that almost two-thirds of the world’s population now has a mobile phone. And if you have spent any time online you know that number is only going to increase as more and more people are given the opportunity to join the internet world through cheaper technology in mobile devices. Think about yourself as a mobile user - when you hit pages that aren't optimized for your screen, do you stay or do you go? I'm going to guess here and say that you go - unless the content is so enticing that you are willing to go through the extra effort to access it. And that's a big unless. If your website is not optimized for mobile traffic then you will lose out on a massive amount of quality traffic. You're basically saying, "Mobile users, don't bother." when you don't have a web design that is mobile responsive. Now the all-important question: how to tell if your site is responsive? You'll need two devices to check this, but it's super simple: First, navigate to your website on desktop and watch it load. Second, on your iPhone (or other mobile device) load your website again look at them side-by-site. What you're looking for in a good responsive design is that the overall feeling and theme of your website is retained but the design on mobile has been simplified and is easy to scroll through and read without zooming or panning. Large header graphics and headlines will be shrunk down in width while the headlines will be increased in proportional size. Your menu will also be easy to activate and navigate around using your fingers. Want to compare? TheLeapCreative.com is designed to be inherently responsive because it was designed using Squarespace. Each template is created with a complimentary mobile version that is optimized for tiny screens so when you go with Squarespace, you won't have to worry, your site will look amazing no matter what device you access it from. 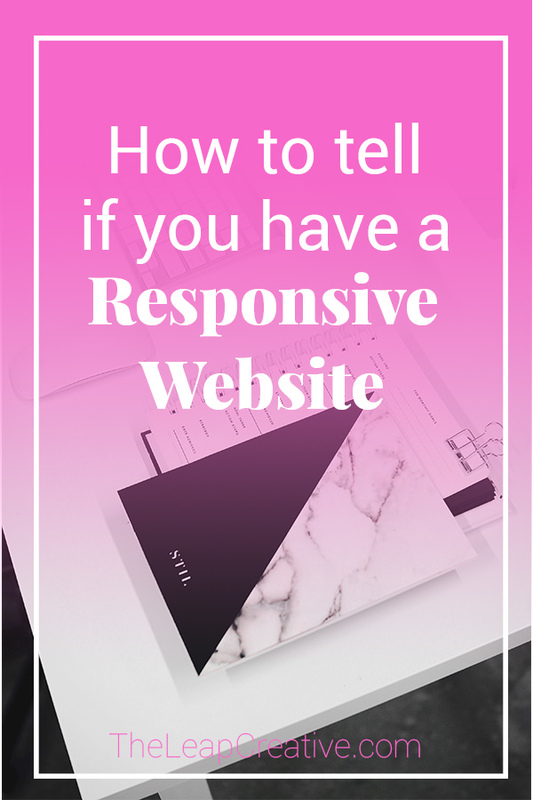 So tell me - is your website responsive? Introducing My New Service - Website Party!